A burst pipe in a tank room above the 6th floor of this residential block above retail outlets opposite Belsize Park station caused considerable damage to the asphalt roof, 5 Flats and a communal stairwell. 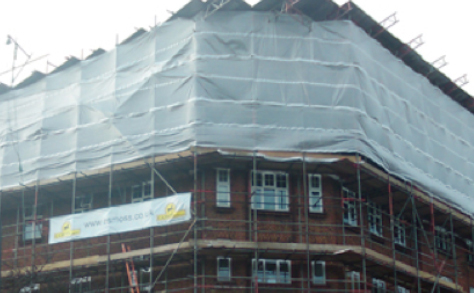 Central London site with leaking roof could cause more damage before repair carried out. 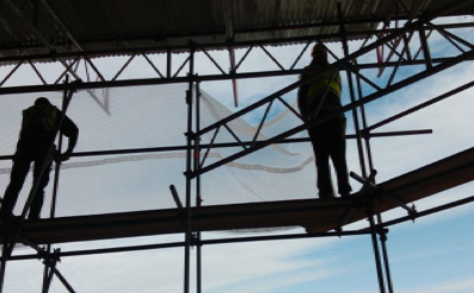 A temporary roof was erected over the affected roof area to prevent further water ingress.